There is something about children that tugs my heart. Alright, I admit it, I am excited to bear my own children. I look forward to loving and nurturing my Isabel and my Jose Luis. While I am waiting, I make myself available to the ministry that paves the way for their coming and their growth. As Creative Arts Director, I was tasked to handle the concert featuring Hannah Nissi Docena, Carla Geane Fernando and other talents of Dadiangas Baptist Church. So when I learned that the concert was meant to be a vehicle to launch our Children’s Church Project, I got energized to the maximum degree! One of the tasks was to look for talented kids who could sing “Tomorrow” and “Somewhere Over the Rainbow“. And we found them, just in time for the rehearsals! We discovered Ellen Paz David, talented daughter of my Kumareng Paz David. 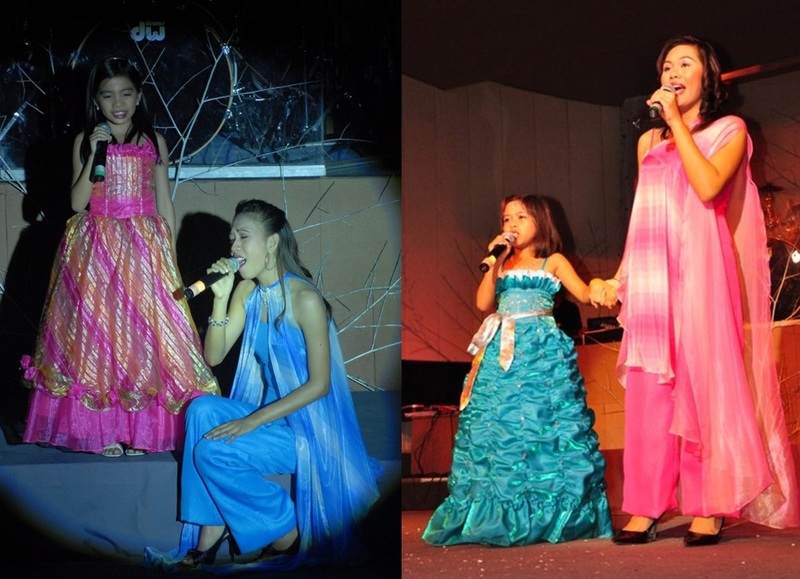 I volunteered Marianne Tamesis, my niece, to perform the song that she has been singing while she was 5 years old. They were fabulous! 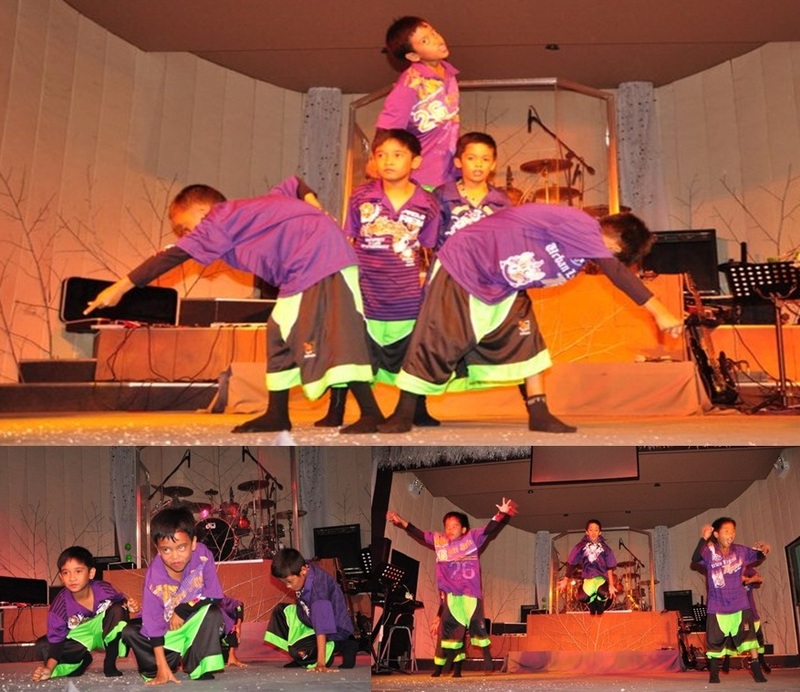 During the intense rehearsals, Kuya Toto Labiana, our very efficient church driver, suggested that I take a look at the dance number of the kids from Cahilsot, Barangay Calumpang. They were so full of energy that I decided to give them the big break. And they did not disappoint! The concert was held on December 28, 29 and 30, 2010 with an extended run on January 2, 2011. During the 4-night concert, Rev. 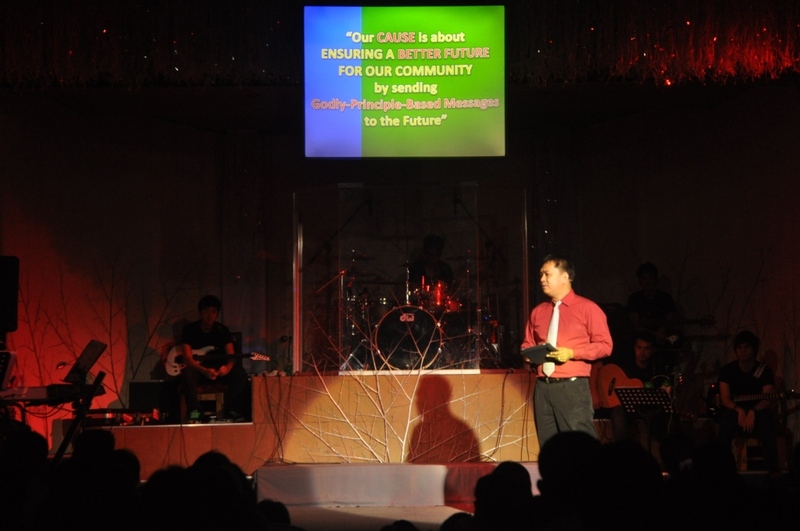 Andres Docena, Jr., Senior Pastor of Dadiangas Baptist Church, presented the plans for the Children’s Church. The members were given the opportunity to be partners in crafting “Our Messages to the Future”. Pledges for donations were made and seed offerings for the Children’s Church Project were given. The target was to raise 1.6 Million Pesos for the facilities that will be a creative center for the kids. There will be a Rock Band room for the kids! The concert showcased the talents of a throng of young people, musicians, choir and dancers. My inaanak, Miguel”Iggy” Aquino, was a revelation! He has the makings of a comic-magician! Toto Bonilla did a great job in training Hannah and Carla. The Message Crafters: Roselle Palmes-King, Rhonora Docena, Arlene Pascua and Cecille Custodio worked with Susan Lapore in training the kids. Cousin Mimi Lapore was consistent in giving an all-out dance performance! Even before the rehearsals started, I already decided that children will take center stage in the concert. I handpicked Timmy Tajanlangit and Christine Anino as hosts for the concert. They were spectacular! Meet the emerging hosts of this generation! The concert was made possible through the help of many people. My dearest friend, Egai Cadiente, was in-charge of setting-up and programming the lights. He did a great job training my beloved Mosler Paul Lapore handle the moving heads and Par 64 lights. Regie Marzan did not hesitate to operate the spotlight. 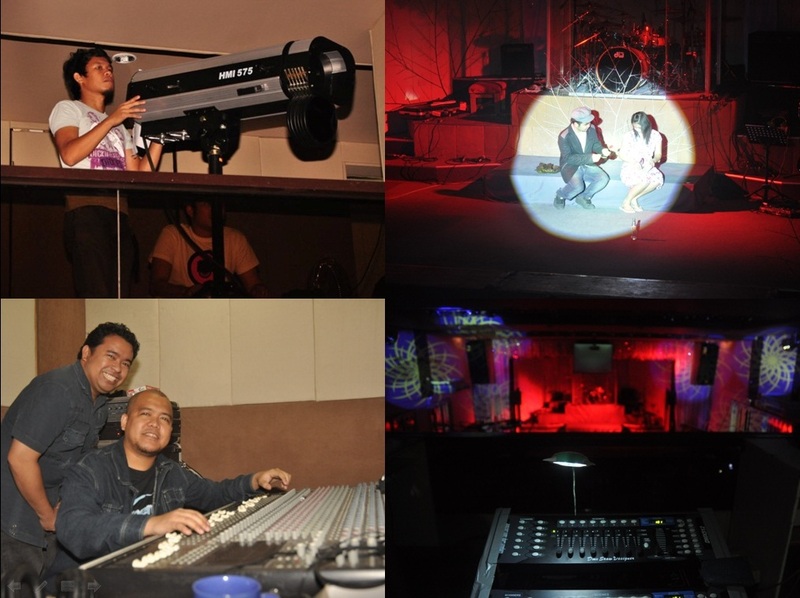 Richard Alex, Ojing Paler and Jenel Labiana worked on the sound system. 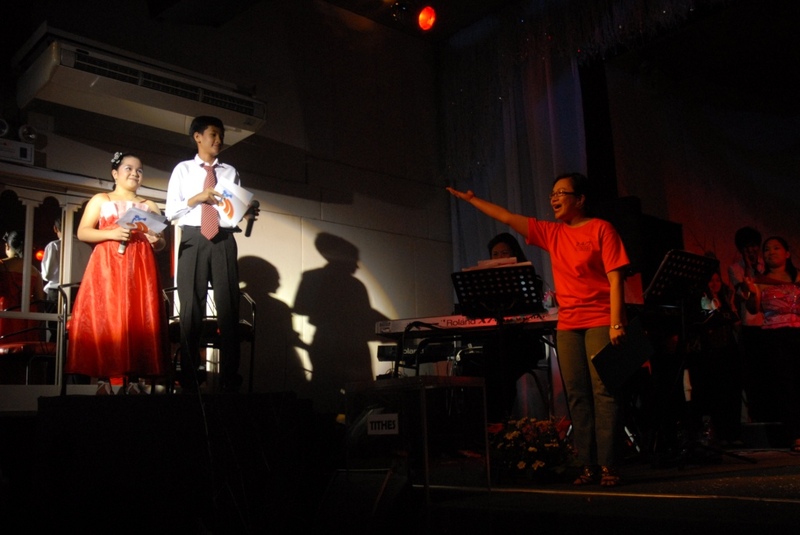 I directed the show hand-in-hand with Carmela Vega and Ruel Garces. Shayne Ann Lee did a great job as Stage Manager. Lyntoi Lapore, Bea Berdigay, Anthea Isabel Manalo, Binoy Magtibay, Jeliza Lapore, Ronz Padecio and the rest of the Media Ministers formed the awesome production team. Emmanuel Sta. Ana readily said yes when I challenged him to do the voice-over. The endeavor proved that Together-Everyone-Accomplishes-More! This entry was posted in Celebration, Christmas, Songs and tagged Anthea Isabel Manalo, Bea Berdigay, Binoy Magtibay, Carla Geane Fernando, Christine Anino, Dadiangas Baptist Church, Egai Cadiente, Ellen Paz David, Hannah Nissi Docena, Jeliza Lapore, Lyntoi Lapore, Marianne Tamesis, Mimi Lapore, Mosler Paul Lapore, Paz David, postaday2011, Rev. 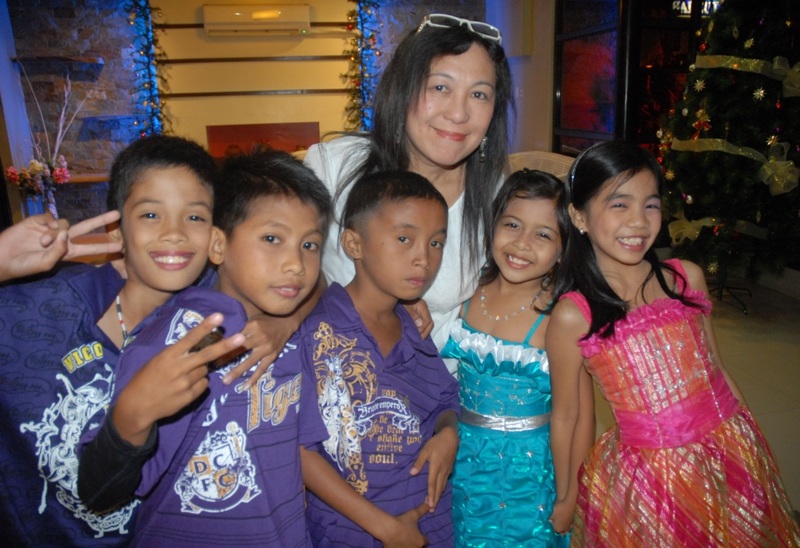 Andres Docena, Roselle Palmes-King, Ruel Garces, Shayne Ann Lee, Susan Lapore, Timmy Tajanlangit, Toto Bonilla. you are an inspiration te… inspiring blog te.. keep it up! Thank you, princesshannahnissi! Blog on as well! awesome!!! !cge lang friendship joana. pag-uwi ko dayn kasama mo na ako sa Together-Everyone-Accomplishes-More! 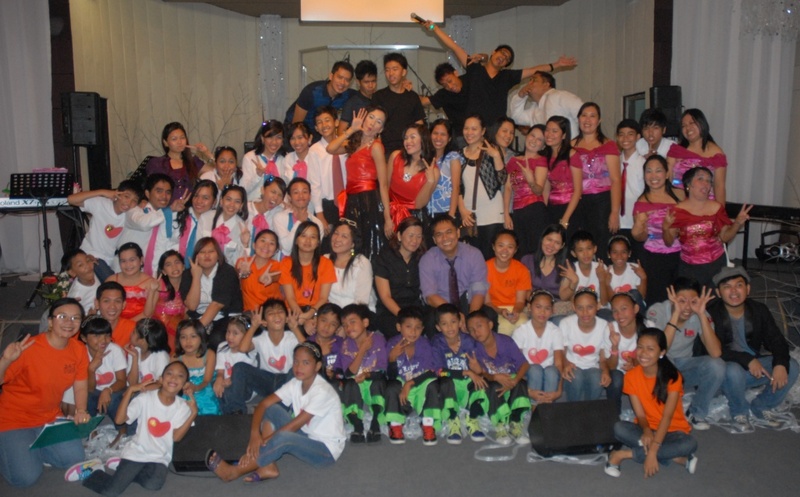 doing more bigger production by cultivating and enhancing young minds and talents to Glorify God’s Kingdom! love you my friend and CONGRATULATIONS DBC family! Thank you, dearest Ric! That is one thing that I look forward to! Miss you much!